Playing games. A Christmas tradition for many. Families bonding or, more likely arguing, over a round of Trivial Pursuit. It’s a common scene played out across many a coffee table in the UK over the festive season. Growing up, my personal favourite was Top Trumps. A pack of cards with facts and figures about some deeply important subject such as Football Players or, in our case, Supercars. Data such as Height, Weight, Matches Won, or in the case of the cars, Engine Size or Top Speed scored and listed against a picture of the car. The idea being that you tried to “Trump” your opponent’s card with a winning fact from your card. Very quickly you learnt which card was the best. The card to trump all cards. And if you didn’t have this revered card in your hand you were definitely playing on the back foot. Failure almost certain. Oh, the sense of superiority you felt as you held that special card aloft. Victory was sweet as you slapped it down on the table. A moment to savour. Out of favour for a while, Top Trumps have made a resurgence in recent years. And there is now a broader choice of subjects that cater for all tastes. There is also an unofficial version of the game being played out. You can’t buy it in the shops, it’s not actually for sale. But it is widely played. Maybe you’ve played it yourself. Perhaps you’ve even held up the trump card and used it. Or foetuses...depending on which version you want to play. Oh and did I mention that these babies have or may have Down’s syndrome? The cards themselves are full of information. However, in older versions of the game stats are largely out of date. Take the category of Health. This may be very low scoring in those games. If you are unfortunate enough to be playing with this version then you will not be aware that science and medicine have moved on. The health of a person with Down’s syndrome can and has been vastly improved. People with Down’s syndrome can now expect to live well into their sixties and even seventies. Let’s try another category then. Quality of Life. Again very low scoring in earlier versions. You’d be forgiven for not realising that a person with Down’s syndrome can lead a GREAT life! This score is now significantly higher thanks to early intervention methods, education and the love and care and support of a good community. More up to date versions of this game are, thankfully, now available. These versions contain accurate data and positive information about what it means to have Down’s syndrome. Sadly, not everyone is using the new version yet. If only the medical profession, the media, and other influential groups could put down their vintage decks and get with the times. Expectant parents might actually be served so much better. It appears, however, that both packs do contain one card which, according to the rules, trumps all others. This card has and is constantly used to end the game. To silence the opposition and to bring all interaction to an abrupt end. It’s that card that says nothing else is as important as this. A line that cannot be crossed. As opposing sides of the game wave their cards in the air, shouting at each other, Top Trumps starts to look more like a game of Pit. Descending into chaos, neither side hearing the other, tempers flare, already deeply held positions become further entrenched, until down comes the trump card. It’s the card that says Game Over. Choice. A word that should mean freedom has become a word used to bring closure. An end to discussion and, 90% of the time, and end to a pregnancy where an extra chromosome has been detected. If only we could really begin to work beyond that stop line of choice. How different society might be if it could give women who find out their baby may have Down’s syndrome a real choice. One that is up to date, informed, positive, filled with hope not despair. Truth not lies. One where women can access a choice of counselling services who are not backed by those who seek to profit from the business of abortion. Counselling services who help women explore every option and don’t simply assume termination as the only answer. Stories of hope not scaremongering. Changing the narrative about a condition that is often portrayed with so much fear and even hatred. Changing societal attitudes to all disability, making room for everyone. No longer speaking of Down’s syndrome as something to be feared. Helping women to birth their offspring and not believe (as I thought – for a while -at the time) that having a baby with Down’s syndrome was the end of the world. I was so unbelievably wrong about that! Choice is surely about taking positive action. Looking for the best possible way forward in any situation. Choice can be the start of something, not just the ending of it. Yes, it’s always a woman’s choice. That is not being disputed here. But it’s all our responsibility as to what that choice really looks like. It’s time we put the cards down and played a different game. Positive About Down Syndrome. A website by parents for parents and parents to be. 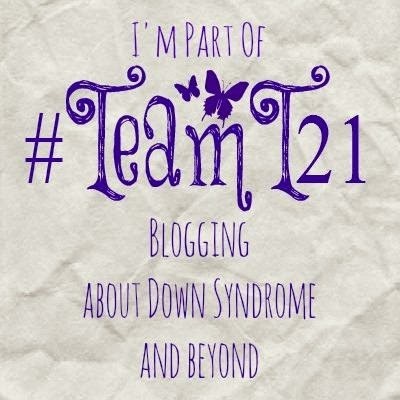 Categories: Abortion, Acceptance, Down Syndrome, Down's Syndrome, Prenatal Testing, Trisomy 21, Uncategorized | Tags: #chooselife, #NIPT #downsyndrome #downssyndrome #choice | Permalink. © Alison Morley 2019 – Photos and text may only be used with permission.